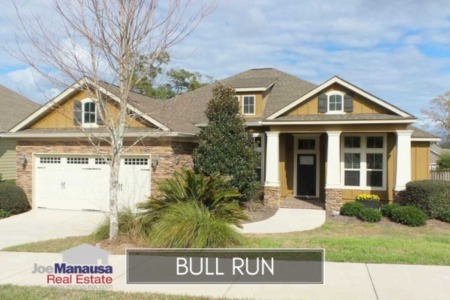 Bull Run is a very popular NE Tallahassee neighborhood that typically sells enough homes each year to be counted among the top five or ten most active subdivisions in the market. Take a look at the current listings and see why buyers continue to stream to Bull Run. Currently, 4 of the 11 homes for sale in Bull Run are already under contract, with prices ranging from below $300K to nearly $600K. Centrally located in the 32312 zip code, Bull Run buyers continue to tell us relatively new homes plus location and schools are the big draws here. It is important to note that the narrative contained below is through the end of the year for all previous years, and through the 27th of July in 2017. The graphs and the closed sales table will be continuously updated into the future (and you can always track current listings and sales on the Bull Run Neighborhood Page here). Average home prices continue to rise, and buyers who have been sitting on the fence will have to pay more to get into Bull Run than they would have if they had made the move months or years ago. This trend will continue (meaning if you snooze, you lose!). 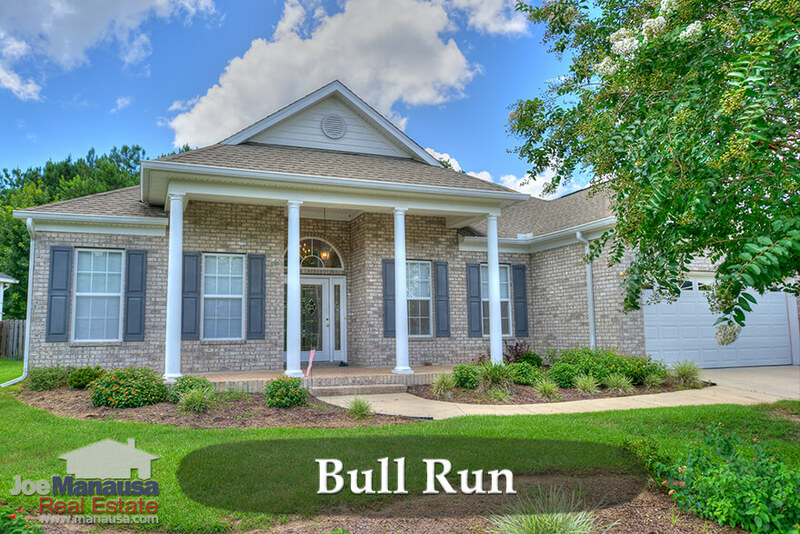 If you want to live in Bull Run, call us today and we'll save you money that you'd ultimately have to spend if you wait for next year. With 23 closed home sales thus far in 2017, the average sales price in Bull Run $367,500. Bull Run home values continue to rise, a sign that buyers have not changed appetites for this popular location. Through late July, the average value of a home sold in Bull Run has been $158 per square foot. 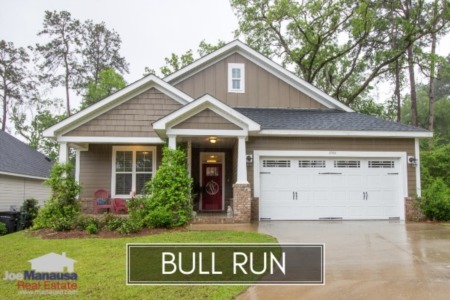 The average home size sold in Bull Run typically falls in a range of 2,000 to 2,300 square feet, but this year several larger homes have sold and thus are the current average above the normal high end cap. The 23 sales thus far in 2017 have averaged 2,311 square feet. The following list shows more than 580 home sales in Bull Run going back to 2005, the first year that homes began selling here. I hope you enjoyed our August 2017 update on home sales in Bull Run, please feel free to drop me a note if you have questions not covered in this report.